James Baldwin was born on August 2, 1924 in Harlem, New York. He was a novelist, essayist and a playwright, best known for his works such as Go Tell It on the Mountain, Giovanni’s Room, Tell Me How Long the Train’s Been Gone, The Fire next Time, among many others. 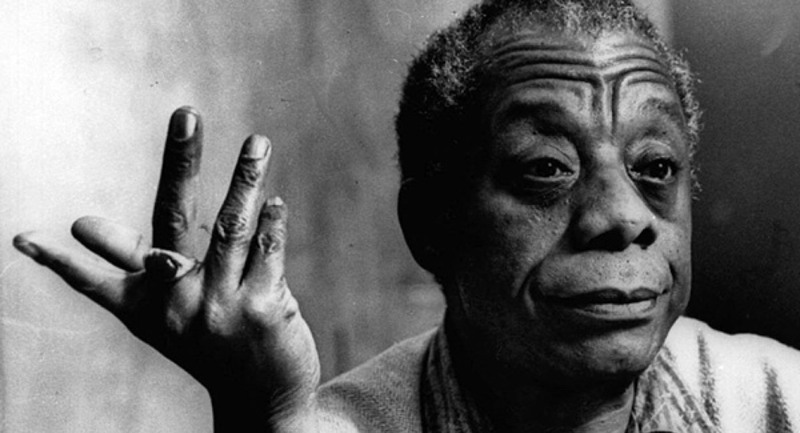 With great eloquence, James Baldwin explored at length the subjects of homosexuality, race, the experience of Black-American and the White privilege in America. Baldwin left the United States and moved to Paris where he led an exiled life. This period of exile brought him near to his culture and helped him to understand his identity, and the American society. In fact he spent much of his adult years in France. In 1986, together with Leonard Bernstein, James Baldwin was made Commander of the Legion of Honor, one of France’s highest awards. Baldwin was a firm believer that social change could take place in the American society. He met with many leaders of his time, such as Medgar Evers, Martin Luther King Jr., and Malcolm X and believed that love and respect could eliminate the race tension in the American society and create equality for all Americans. 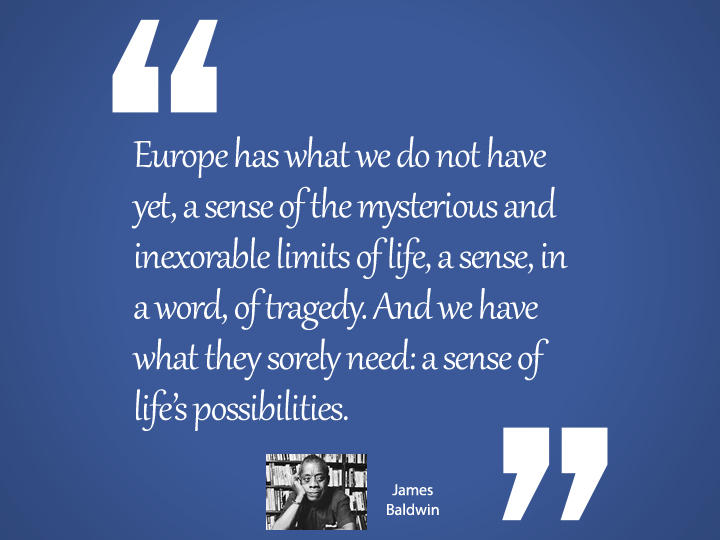 James Baldwin died of a stomach cancer on November 30, 1987 in France. He was buried in Harlem. The reason people think it’s important to be white is that they think it’s important not to be black. Europe has what we do not have yet, a sense of the mysterious and inexorable limits of life, a sense, in a word, of tragedy. And we have what they sorely need: a sense of life’s possibilities. If you’re treated a certain way you become a certain kind of person. If certain things are described to you as being real they’re real for you whether they’re real or not. It is a great shock at the age of five or six to find that in a world of Gary Coopers you are the Indian. The making of an American begins at the point where he himself rejects all other ties, any other history, and himself adopts the vesture of his adopted land. The primary distinction of the artist is that he must actively cultivate that state which most men, necessarily, must avoid; the state of being alone. The South is very beautiful but its beauty makes one sad because the lives that people live here, and have lived here, are so ugly. The paradox of education is precisely this; that as one begins to become conscious one begins to examine the society in which he is being educated. The greatest significance of the present student generation is that it is through them that the point of view of the subjugated is finally and inexorably being expressed. Everything depends on how relentlessly one forces from experience the last drop, sweet or bitter, it can possibly give.